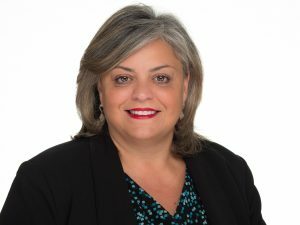 Tennessee-based Churchill Mortgage , a company providing conventional, FHA, VA and USDA residential mortgages across 46 states, announced the promotion of Liliana Nigrelli to Chief Compliance Officer. In her role as Chief Compliance Officer, Nigrelli will be responsible for managing Churchill’s compliance team as it ensures the lender meets all state and federal regulations, tracks new or potential regulatory changes, and supports Churchill’s sales and operations teams. Nigrelli previously served as Churchill’s VP of Compliance. During her eight years at the company, she has successfully guided the lender through more than 80 state audits, in addition to overseeing multiple federal and agency audits. Nigrelli’s success is not limited to her work within the compliance department. She has also been recognized and commended by her fellow Churchill employees for her willingness and effort to support every team, from facilities staff to individual loan officers. In 2017, Nigrelli was awarded Churchill’s coveted ‘Broomsweeper’ award, which recognizes one employee who has gone above and beyond in helping fellow staff and is based on a company-wide vote of all employees. Founded in 1992, Churchill Mortgage is a privately-owned company by its more than 350 employees. The company provides conventional, FHA, VA and USDA residential mortgages across 46 states. Churchill Mortgage is a wholly-owned subsidiary of Churchill Holdings, Inc.